When it comes to carbon we are pretty picky and wouldn’t recommend any ordinary carbon. The ROX carbon in our opinion is the best carbon on the market. Only requiring half as much than most standard carbons it may cost a little more upfront however not needing as much makes it last much longer. Also with its super low dust content rinsing is quick and doesn’t require much water at all. 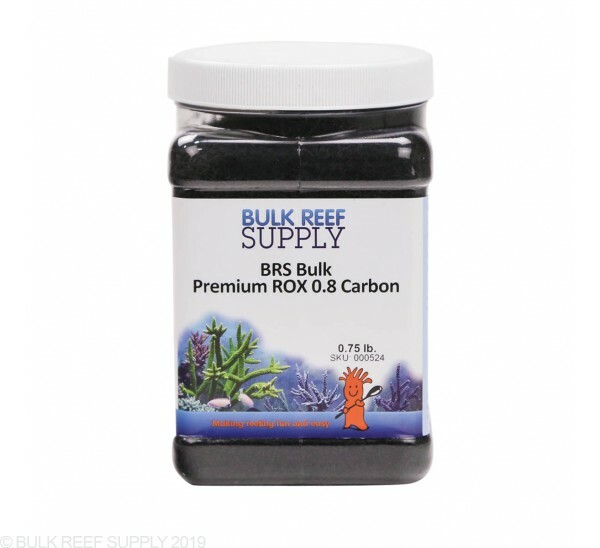 BRS Bulk Premium ROX 0.8 Aquarium Carbon offers superior absorption, less dust and pristine water clarity. Typically used by pharmaceutical companies to create ultra-pure water. 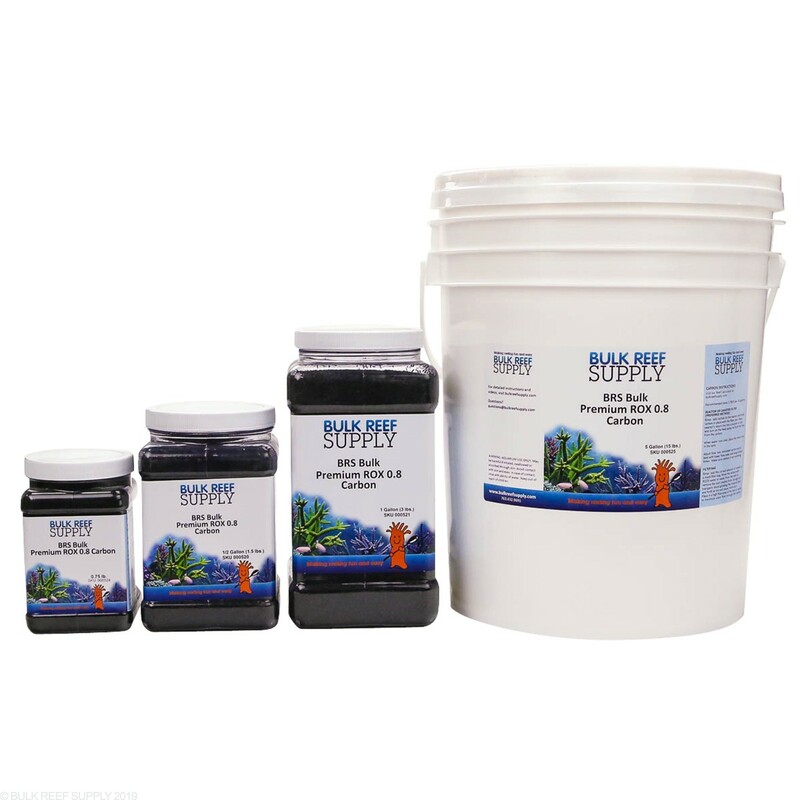 The wide variety of pore sizes makes it the best aquarium carbon available to remove yellowing pigments, contaminants and irritants from your tank. 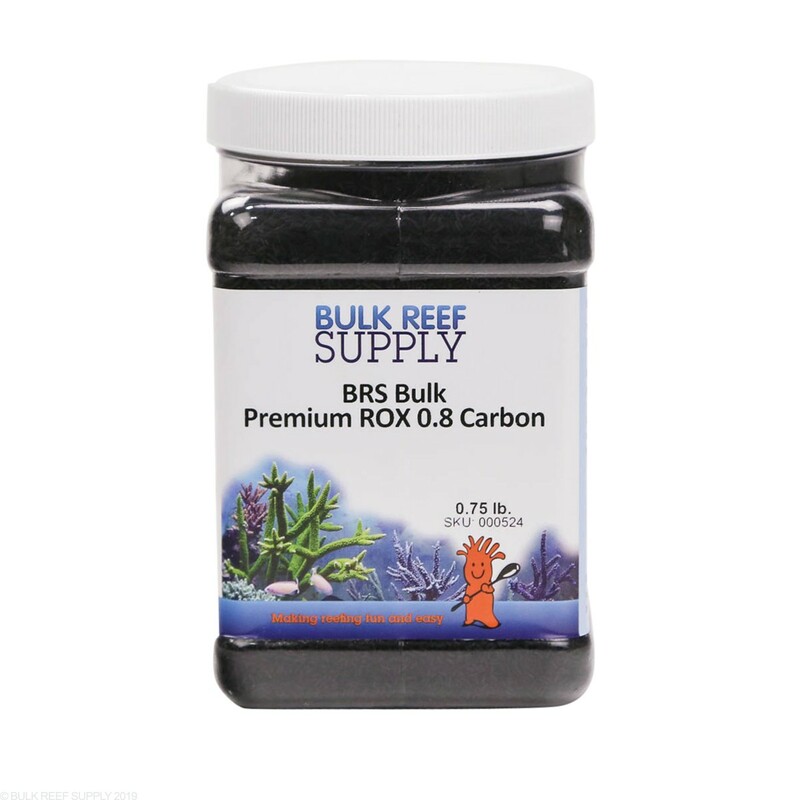 ROX 0.8 is a specialty carbon extruded into tiny, extremely hard pellets resulting in less dust and reducing the amount of fines released into the water. 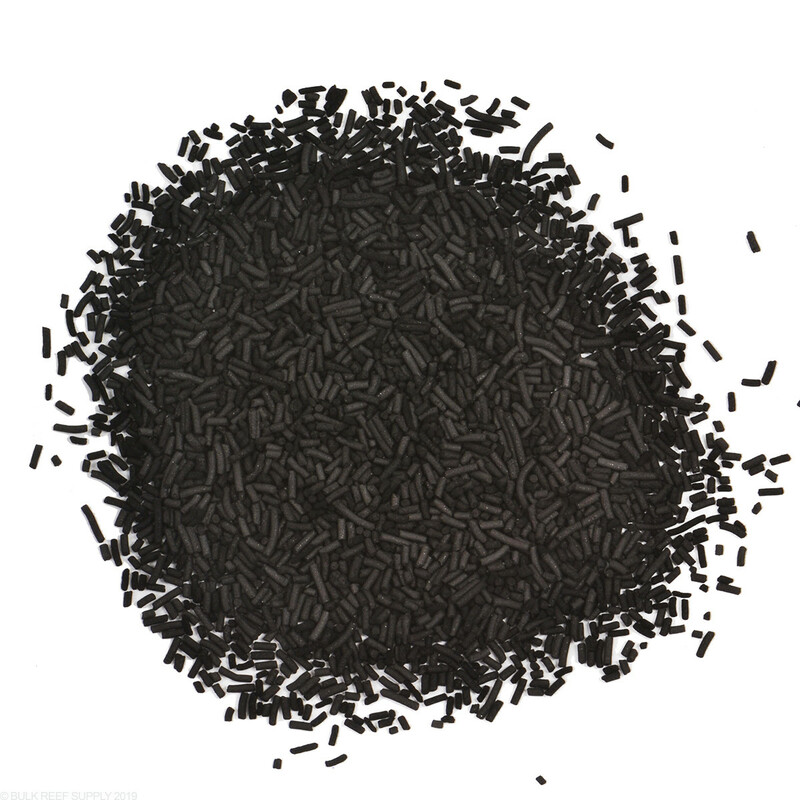 It features high numbers of large and small pores giving it all the advantages of both lignite and bituminous carbons. ROX 0.8 will make your water crystal clear faster with less material. BRS purchases our carbon directly from the manufacturer so we can offer the best carbon at reasonable prices. While most companies claim their carbon is the best, our statement is backed with true science and real numbers. Carbon is not created equal. Different sizes, shapes, and materials will perform with drastically varying results. 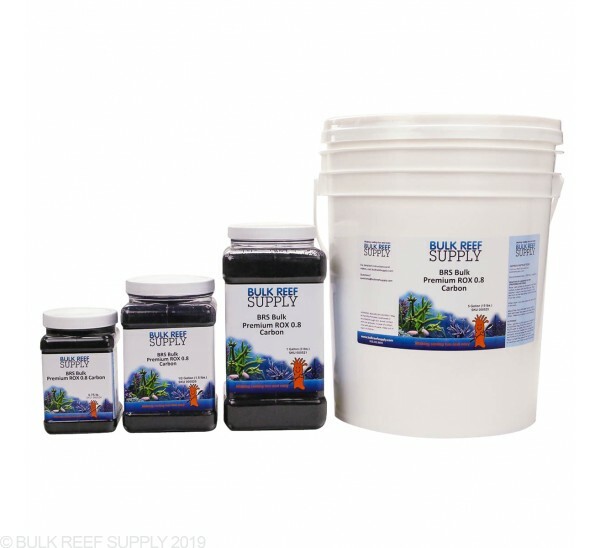 Recommended Dosage: 1 tablespoon per 10 gallons, or use our Reef Calculator for hassle-free dosage recommendations. 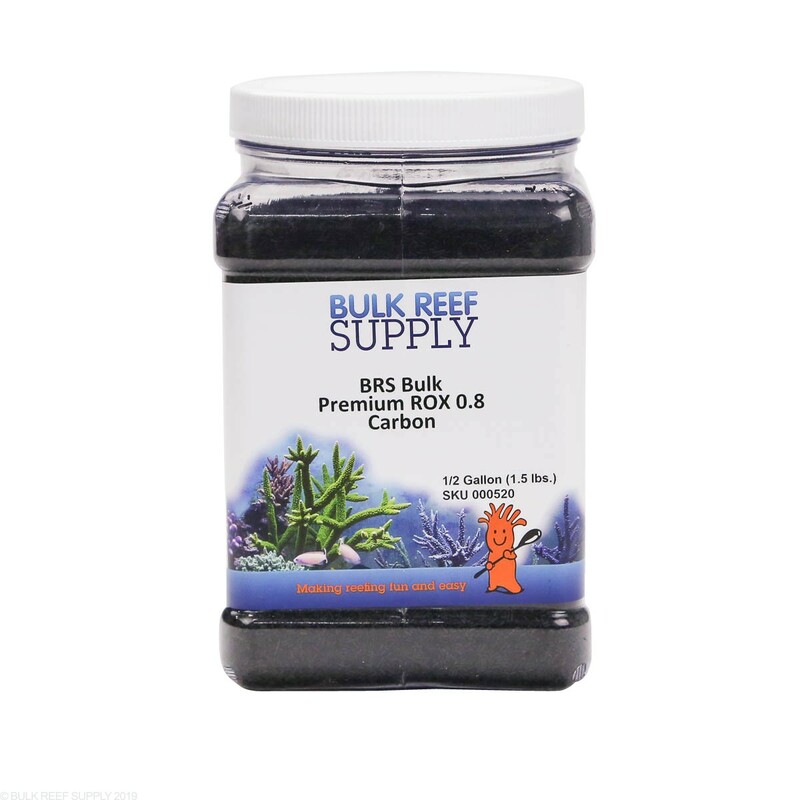 All of our carbons work well in the BRS reactor which is our suggested method of utilizing carbon in the aquarium. 100% would recommend! Water seems to clear up in hours. I use ROX 0.8 and Red Sea carbon, and I haven't regretted either. ROX seems to absorb so much more than any other carbon, so you only need half as much to get the same job done. I have a 125 gallon aquarium fill with Malawi Chiclids. This carbon is amazing. Use only one tablespoon per 10 gallons. It keeps my tank water crystal clear. The water has NO oder whatsoever. I don't even think I need to rinse the carbon before using it. Works great. I have a tang and he is perfectly healthy. No lateral line issues at all. Awesome. Using in m BRS dual reactor. No problems. Keeps tank crystal clear. This is the best carbon I have used. It is a little more expensive than the other types out there but well worth it. I'm currently using it in my 220 gallon mixed reef tank along with a bag of Purigen and a Poly Filter pad. The water is crystal clear! The water was noticeably clearer within 24-48hrs after it was implemented. The product is very low in dust and rinses very easily as well. Will definitely continue to purchase! This is by far the best carbon i have ever used. Using the recommended amount and changing it monthly keeps the tank crystal clear. Too small for most bags, floats out of reactors, currently breaking down my tank as it is everywhere in the sump and tank. I HATE this stuff. Way too small for most reactors. 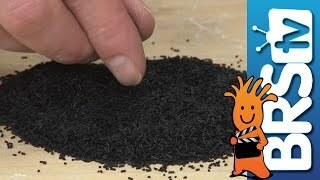 I also tried to use this carbon on my sons turtle filter (magnum 350) and it was such a mess to deal with. I have been using this carbon for over two years. I used to use other brands but this beats them all. Been reefing for 8 years now and never bothered or thought much of using carbon because my water looked clear to me. This definitely made my water look a step clearer. How much carbon should I use? What's the carbon to gallon ratio for this carbon? Planning on putting it my my BRS dual reactor. Thanks!! I've read that it matters how carbon is activated as to whether it leaches phosphates. Is this carbon activated chemically or physically? Our ROX carbon is steam activated and acid washed with hydrochloric acid and not phosphoric acid so there is no danger of it leaching phosphates into the water. What should the rate of flow be in a reactor with carbon? Enough to barely tumble, no tumble, or other? The flow rate will vary however the flow is often around 300 GPH. The Carbon should be held in place with sponges and should not be allowed to tumble. Feel free to let us know if you have any further questions! Will this work for freshwater? I'm sure it will because it's just crabon but I need to make sure. This will work perfect for freshwater! Feel free to let us know if you have any further questions! 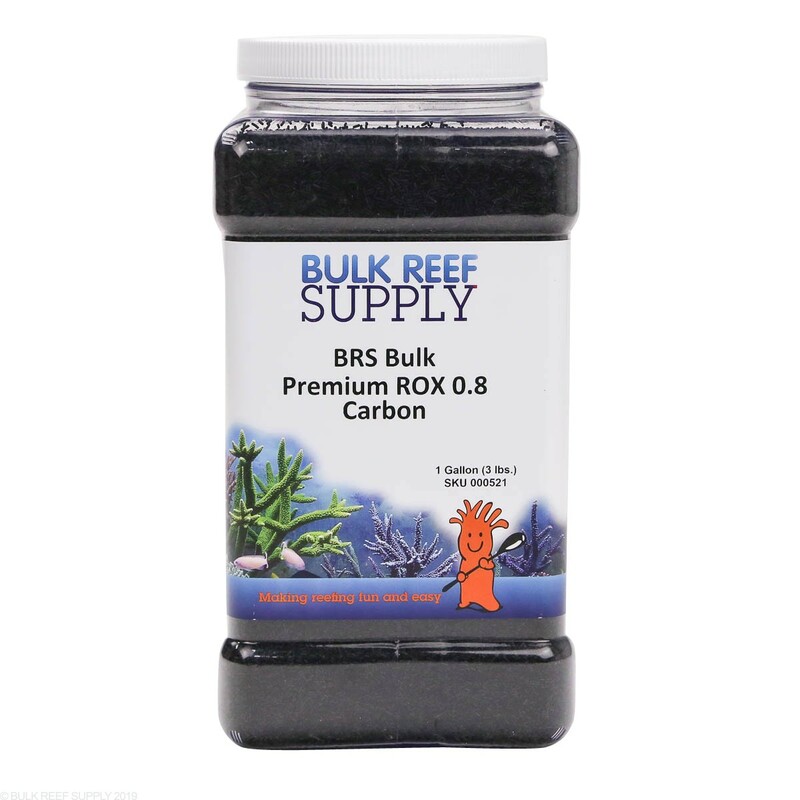 As far as concern over dust relative to risk for tangs/HLLE, is Rox the best reef carbon available? While I've not seen any research showing any difference between different carbons and their effect on HLLE, Rox .8 is definitely the highest grade of carbon available and has the lowest dust level. How much should i use for 45 gallon freshwater? 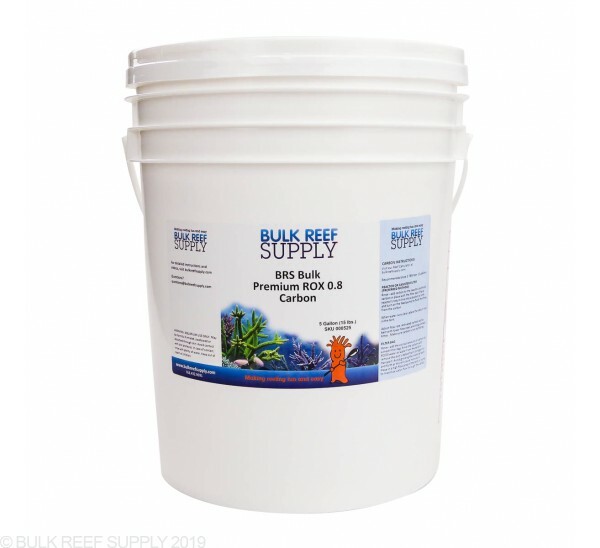 I'm afraid we only normally work with saltwater applications, and wouldn't have info for freshwater use, but our normal recommendation would be about 4 Tbsp for a 45 tank. We suggest a media bad that has a micron rating of 300 or lower. That will contain the media within the bag and still allow for good water flow through the bag. Would you ship to South Africa or do you have agents here? I just got an old Red Sea Max 250 set up and running which is 65 gallons. I have a c-220 canister filter on it that normally takes 2-100gram carbon bags or just over 13 tablespoons. 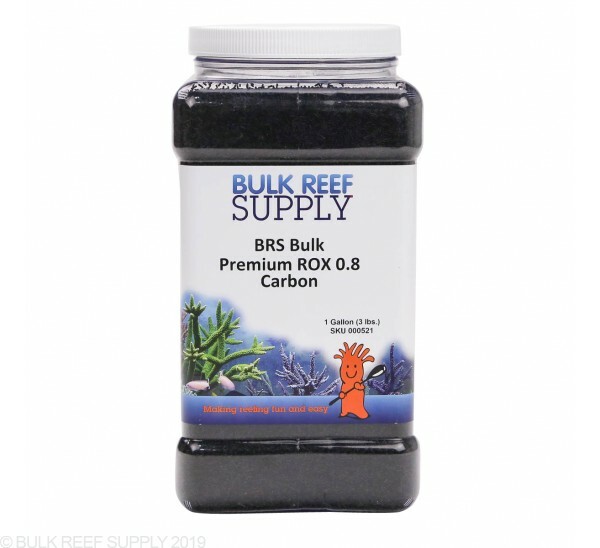 I see this carbon only recommends using 6.5 tablespoons for my size aquarium. Is it really that good that I can use half the amount as other brands? 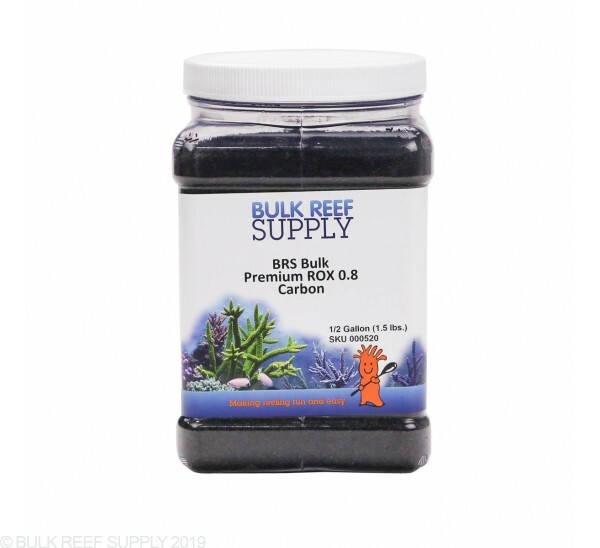 Correct, the ROX 0.8 does have twice the performance as the standard Bituminous carbon used in many other aquarium products. Feel free to let us know if you have any further questions! Can I run GFO and ROX Carbon in one delux reactor and biopellets in another seperate reactor? Or is it advised to only run one phosphate removing media at a time? We do not recommend running bio pellets in conjunction for tow reasons. 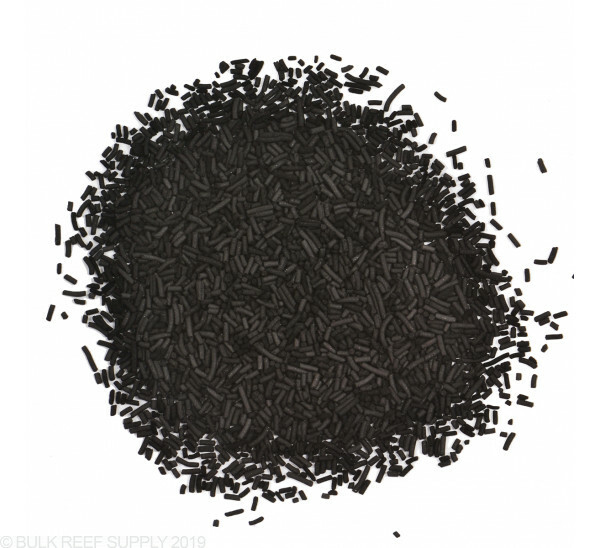 The pellets will clog and release waste film which will clog the system in addition of GFO not needing to be run with pellets as the pellets do require a small amount of phosphate to perform correctly. How long will the media brs GFO high capacity & Premium POX 0.8 carbon be changed? Its best to change carbon every two weeks. GFO on the other hand will vary depending on the amount of phosphates in the water. No need to change it until its depleted. Typically this is 4-6 weeks assuming normal dosages and normal phosphate levels but the best thing to do is monitor your phosphates for an increase, and change the GFO when the phosphates begin to rise. 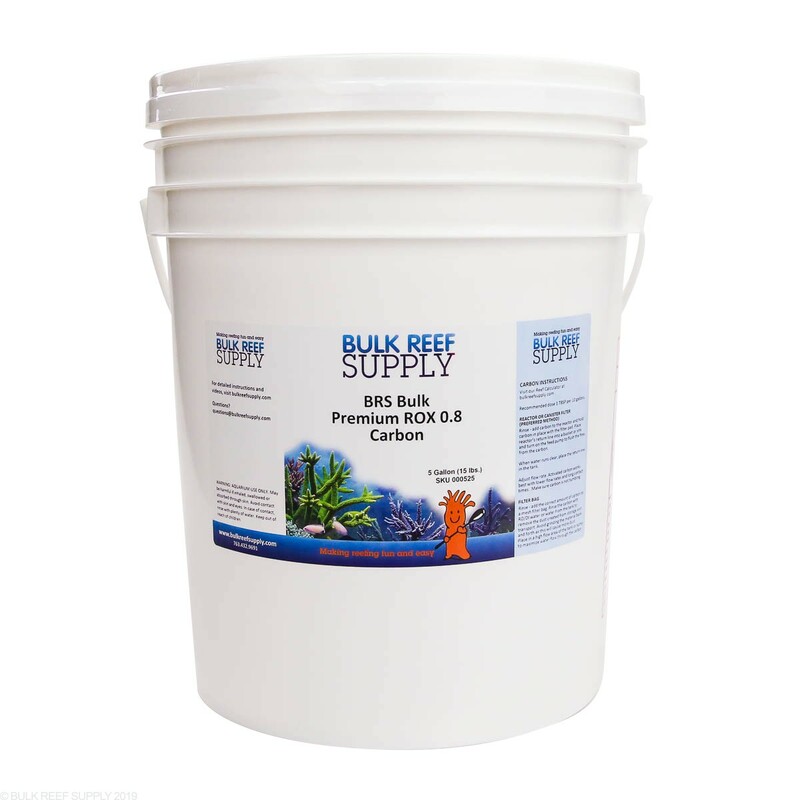 Do you know how many cups of ROX 0.8 are in the 1/4 gallon container? There will be 4 cups per 1/4 gallon. Which reactor do you recommend for the ROX 0.8 carbon? Do you have one that will compress it and keep it between filter pads where it can't escape to the tank? The standard BRS reactor I think is the best for the ROX carbon. Its filter pads are fine enough that the carbon stays inside of them. There are a lot of great reactors out there, but with most of the other ones you will need to custom cut some filter floss material to keep the carbon from going through the sponges as its quite small. It really depends on the reactor. 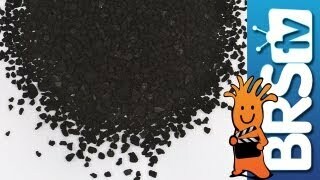 The ROX carbon is the best carbon we sell, but because of its small particle size its well suited to reactors whose sponges have large holes in them. For those types of reactors the lignite carbon will be the best bet as its still performs better then most carbons while being a larger particle size.